Professionally decorated turn-key home within the incredibly popular gated - Solana Resort with huge backyard! 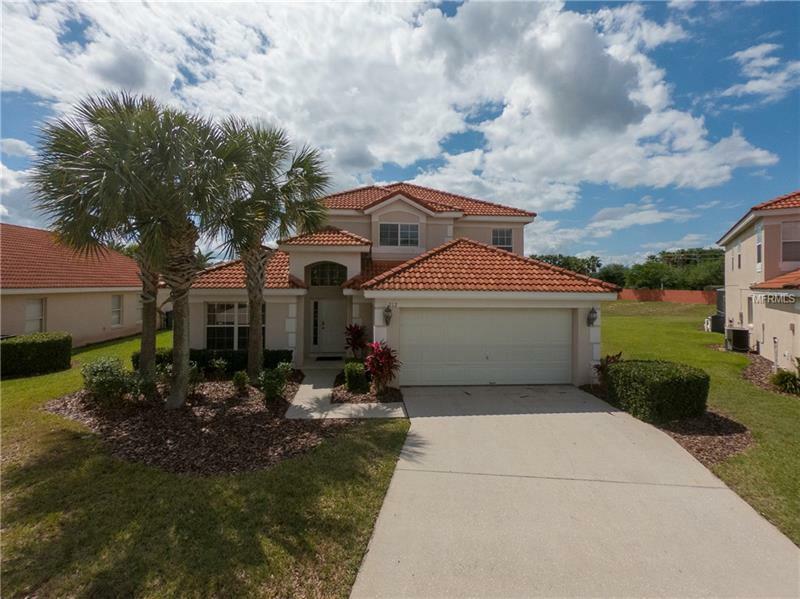 Fully furnished 5 bedroom, 4 bathroom home includes vaulted ceiling, custom window dressings and art decor. 2/2 on the first floor and 3/2 upstairs. Private HEATED POOL and SPA with covered lanai is not overlooked and enjoys plenty of afternoon SUN! Home has been maintained well. Ceramic tile through the entry, family room, kitchen and all bathrooms. Converted garage hosts 3 game tables. This community is fresh and well looked after with resort style amenities including: pool, spa, gym, arcade, playground, mini golf, and much more. Just a short walk to the clubhouse amenities! Take a look at this great vacation home or primary residence. You’ll be just minutes away from all Orlando area attractions including Disney, Universal Studios and Sea World. Your search for the perfect home is over! Do not miss this amazing opportunity! Call now to schedule your showing!